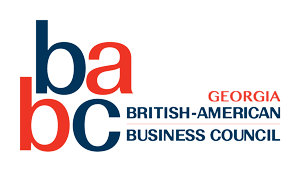 The French, Netherlands, Belgian, Finnish and German Chambers of Commerce of the Southeast US, as well as the British American Business Council of Georgia, are pleased to invite you to the 13th Women's Series event! The next step in your career will surely happen through your close contacts: either within the organization that you currently belong to or through your outside network. How to activate those connections, develop new ones, stay visible on social media and in “real life,” get the message out. Join us on Monday January 30th to hear Judi Adams present her tools and tips for taking your professional career to the next level. As an aside, this 13th event inaugurates the 4th year of our Women's Series, launched by five fantastic local organizations (French, German and Netherlands American Chambers of Commerce, The British American Business Council and Women in Bio - Atlanta). We are proud to offer topics to help connect and develop the women of our communities.